With the Momentum One Day Cup 2019 nicely poised for a grand finish, the Warriors and Cape Cobras face off in a virtual knock-out game on Saturday at St. George's Park. The Cobras recovered from initial hiccups to stay in the running for a semi-final spot while bad form and unavailability of star players have hindered the Warriors' campaign. 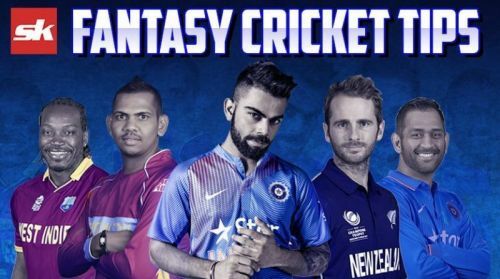 With both sides' challenge for the trophy on the line, here are a few tips to help you pick your Dream11 team. After a thrashing at the hands of Sarel Erwee and Vaughn van Jaarsveld, Warriors should ideally field their strongest XI. Jon-Jon Smuts returned to form with a timely fifty against the Dolphins. Andrew Birch's fitness is still in doubt while Walters' good show in the previous match holds him in good stead. Qeshile's national call-up opens up an opportunity for Ngoepe and Ackermann in the playing XI. Possible XI: Cloete(WK), Moore, Vallie, Breetzke, Smuts, Marias, Nyaku, Kaber, Magala, Walters and Stuurman. No changes are expected for the Cobras after their emphatic performance against the Knights on Thursday. Rory Kleinveldt and Vernon Philander put on an exhibition of swing bowling after reducing the Knights to 9/3, paving the way for a comfortable win. The Malans have been ably supported by Zubayr Hamza and in-form keeper, Kyle Verreynne, who has 326 runs in the competition so far. Possible XI: Janneman, Pieter, Hamza, Mgijima, Verreynne (WK), Galliem, Philander, Kleinveldt, Piedt (C), Mnyaka and Ndwandwa. A good batting surface combined with help on offer for the pacers will make for a competitive match on Saturday. The last few encounters have seen teams pile on the runs and it shouldn't be any different as a formidable Cobras side face a depleted Warriors bowling unit. Wicket-keeper: With Warriors keeper Qeshile slated to make his international debut for South Africa, Kyle Verreynne is the only available option who is certain to play in this crucial match. He has been one of the Cobras' best batsmen and can be trusted to score some vital runs. Batsmen: Gihahn Cloete, Janneman Malan and Zubayr Hamza have all made their international debuts recently and are in good form as well, rendering them must-haves in the fantasy team. One of Edward Moore or Yaseen Vallie would also prove to be a good choice considering the batting-friendly conditions in Port Elizabeth. All-rounders: Vernon Philander and Rory Kleinveldt were on song against the Knights and should be backed for an encore while the highest run-getter in Momentum One Day Cup history, JJ Smuts is a must have in the side. Bowlers: Sisanda Magala has put in consistent performances throughout the tournament with twelve wickets to his name, making him a viable option alongside Akhona Mnyaka and Basheeru Dean-Walters. Captain: JJ Smuts is the most reliable player in the Warriors set-up with his all-round abilities. If the Warriors are to make it to the semi-finals, expect Smuts to come up with one of his specials on Saturday. Along with him, Zubayr Hamza and Gihahn Cloete are also worthwhile options to choose as captain.